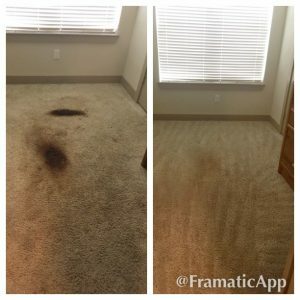 Everyone wants to have clean, fresh, good looking carpet, right? So what do they do to take care of it? 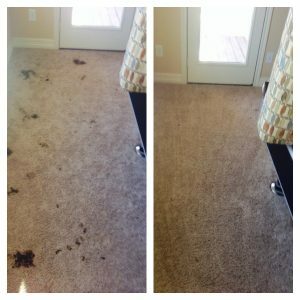 Usually, people will either call a professional carpet cleaning company or they will try to take care of it their-self. Although, doing it yourself may appear to be the cheapest and most convenient way, you may be doing more harm than good. They doing it yourself method or DIY has many pros but what may not be realized is that if you are using over the counter products to spot treat your are leaving behind chemicals. These chemicals may or may not be harmful to your health but it defiantly isn’t good for the health of your carpet. Even so called “green” products for spots are being left behind because there is no effects way to extract it all without using powerful professional equipment. So what happens when these products are left behind and cleaned out thoroughly? Well, one side effect is that it could attract more dirt and leave an even uglier stain, especially if it a soap based product. It could discolor your carpet. Even if it is a very minor discoloration no one wants their carpet to look off. Discoloration is a very common situation and many don’t notice it right away and think great it worked let me use in another area! Then guess what? That area becomes discolored too and before you know it you have a bunch spots that don’t match the rest of the carpet. DIY carpet cleaning machines often use soap as a cleaning method and as mentioned before will leave residue behind that will only attract dirt. Also, with these machines they aren’t as nearly as powerful as professional carpet cleaning equipment. You run the risk of over watering or maybe even under watering because your scared of putting too much in. Too much water means there is a greater risk of mold and mildew to grow and no one wants that. It also means you’ll have to walk around on wet carpet for a longer period of time, which let’s face it, is just plain annoying!